I was delighted to arrive in Northwest Italy and discover that backyard gardens were in nearly every home. I was taking photos of everyone’s backyard (total creeper style) the first several days I was there. Then, at some point I got used to the presence of food growing everywhere. Corn fields, hazelnut orchards… It was like a big perpetual hug from Mother Nature. I didn’t know self sufficiency was the cultural behavior in Italy until I arrived. 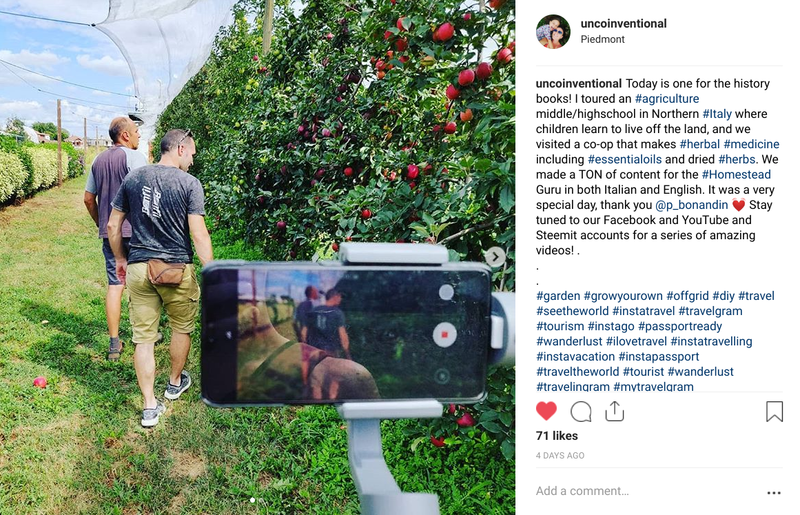 I have been travelling the United States visiting intentional communities and sustainable farms for years now and this is the first place where I have seen this way of life taking place within the general public. As we branched out further and further from the village I was visiting, we entered other geographic regions with other types of food growing. Once we entered wine and hazelnut country my heart began to leap with JOY! I felt like we were driving through a magical fairy tale. It was so beautiful it didn’t seem real. I spent one day exploring the Alps and standing in awe of the amazing flowers Mother Nature provides. 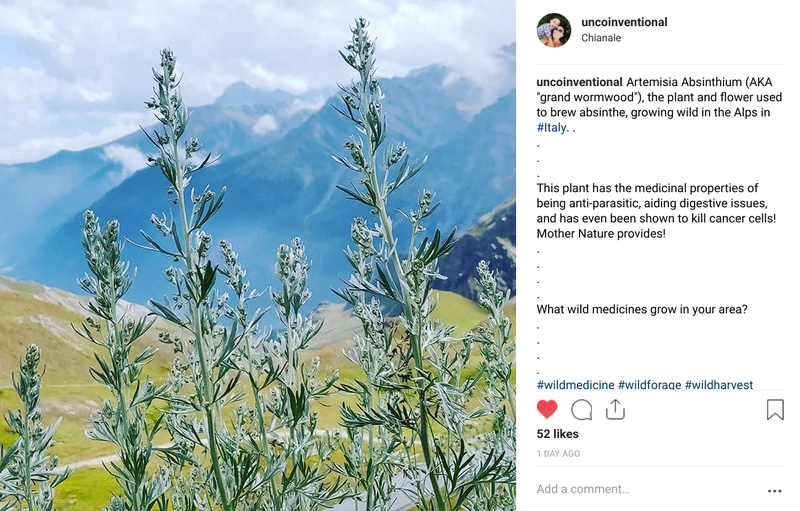 I used an app called iNaturalist to identify the plants growing all around me and found many with medicinal qualities! The villages are small and intimate. Children have a safe community to grow up in, with miles of gravel road through corn, soy, mint, and marijuana (legal CBD weed). And their backyard gardens teach them about the cycle of life and how to participate in harmony with Mother Nature. People know how to grow and cook their own food. Families live on the same property with multiple generations and eat meals together. There is even a church bell that communicates important messages to the villagers — What time it is, if someone died, if someone is getting married, etc…. 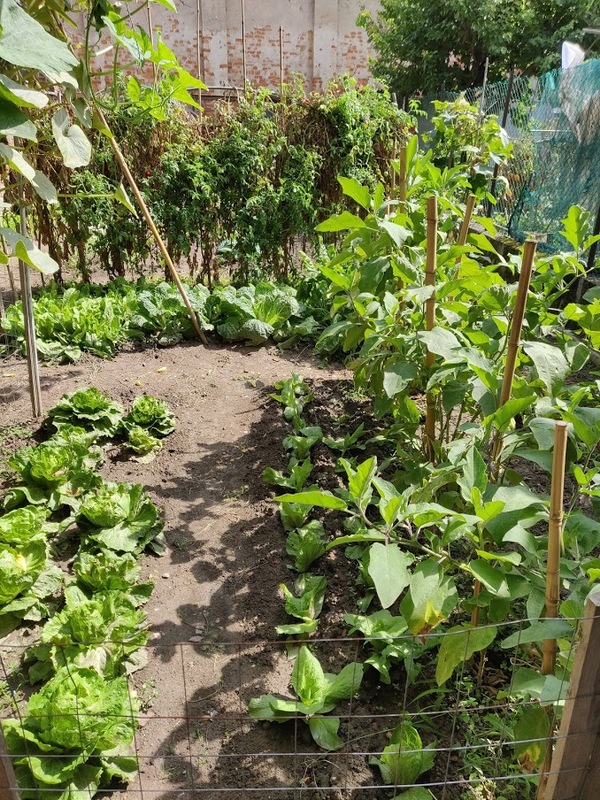 More from the Guru: How Much Food Can You Grow on a 1/4 Acre? Many of the villages are within a 10 minute drive of one another, and many of them specialize in a certain trade… Mint farming and essential oils, a type of cheese, etc… There is a cheese festival every other year in Bra, a village I drove through while headed to a wedding. I hope to attend it next year so I can experience the best cheese from the region! 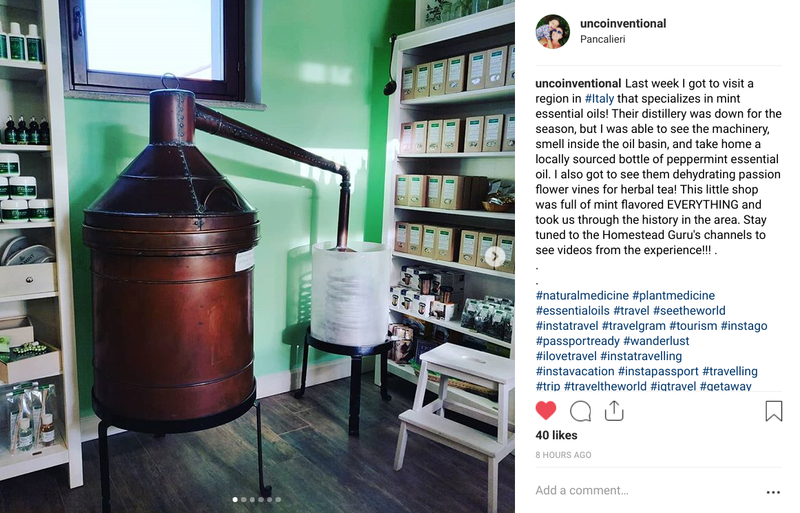 Also for next year – I hope to learn the art of making flower essences and tinctures so I can experience natural medicines from all over the planet. The way they live is exactly what my heart has been searching for all these years. Community. Food. Family. Rural. High quality. Natural. It is truly an enchanting place. For years I have been traveling through the United States trying to fine somewhere that is in alignment with how I want to live. More from the Guru: Harvesting This Amazing Herb is Just as Easy as Growing it! The closest thing I have found in the United States is Raven Rock Eco Village, but their population is very low, too low for the type of community found in Northern Italy (check out Raven Rocks, I LOVE everything about them). Their lifestyle is exactly like the folks in Northern Italy – they are also established in that they have been around since the 1970s, but they simply don’t have the numbers (yet). Other sustainable Italian lifestyle habits I witnessed in Italy – the only places that had air conditioner were larger businesses. None of the homes I visited had central air of any sort. Many people line dry their laundry, in Venice for everyone to see, and in the country courtyards with privacy. What I really appreciate about Italian culture is how much their care about and protect their food. No GMOs, no unnatural grown hormones, and a woman there told me they can’t even water their commercial grapevines, that they must be grown naturally – this is why the YEAR matters so much on Italian wine – the weather has a huge impact on the end result. I plan to go back next summer for 3 months and really get to know the food and medicine producers in the area. Until then please watch our youtube, facebook, and steemit accounts for more great videos in both English and Italian from our tour of this region. We visited an agricultural middle and high school as well as a co-op that produces essential oils and dried herbs! This article was originally published by The Homestead Guru.